Good wine and spirits are hard to find in Edgewater, so I was excited to see a sign go up for a new boutique wine shop on north Broadway in the early spring. Scott Crestodina’s store, Independent Spirits, opened in late July after a full remodeling of the space at 5947-49 N. Broadway. Last weekend I had a chance to pop into the shop for a bit, do some exploring, and chat with Scott a bit about what Independent Spirits is all about and where they’re headed. The first thing you notice when you walk in—besides the wine—are all the hand painted maps of various wine growing regions from around the world. 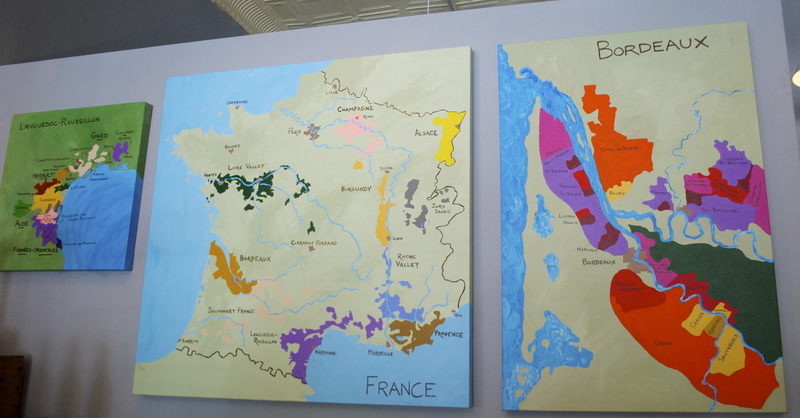 Each meticulously constructed map is painted by Scott and gives customers an idea of where their wine is actually coming from. When talking differences between Bordeaux and Alsace, it’s easy to get the lay of the land just by looking up at the wall. 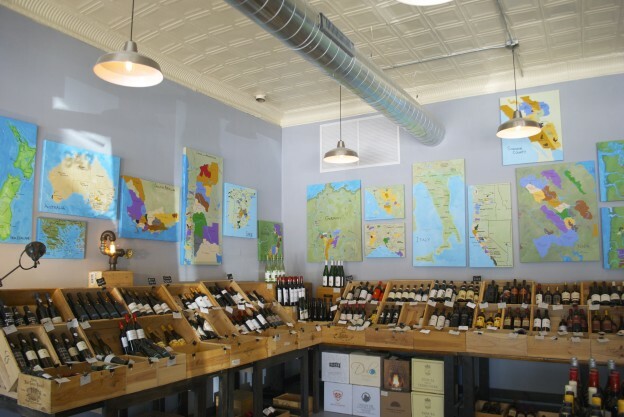 The maps also help orient customers in the store to where different wines are located. Looking for a dry red from Australia? Just find the map on the wall. Independent Spirits isn’t very large, but Scott, a former wine broker, expertly curates its collection. 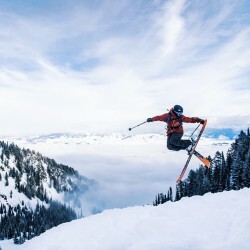 In addition to a great selection of reasonably priced wines, the shop offers a great selection of spirits that are difficult to find elsewhere—and at very good prices. As a whisky drinker, the large selection of Scotch is what I’m excited about. They also offer local and small batch gins and vodkas as well as a surprisingly large choice of bitters. Independent Spirits also has a small, but solid, beer selection featuring some imported Belgian beers as well as options from U.S. craft breweries. A refrigeration unit was just installed last week so there will be more pre-chilled options to choose from soon. If you’re in the Edgewater neighborhood on the north side of Chicago, check out Independent Spirits and pick up a bottle (or two). I’ll definitely be back in there soon to stock up. 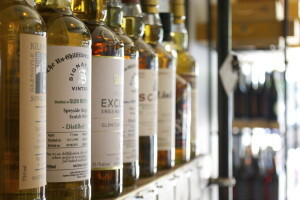 On the blog I’ll be working my way through some of the wines and whiskys in the shop. I’ll be sure to report back. This entry was posted in Chicago and tagged Beer, Bitters, Chicago, Edgewater, Gin, Independent Spirits, Neighborhood, Shopping, Tonic, Vodka, Whiskey, Whisky, Wine on August 7, 2013 by Ian Petchenik.